The Internal Revenue Service (IRS) announced that they would start enforcing ObamaCare’s individual mandate with the 2018 tax filing season, the first time the agency has done so since the mandate took effect back in 2014 — and a marked contrast to its policy for 2017. “For the upcoming 2018 filing season, the IRS will not accept electronically filed tax returns where the taxpayer does not address the health coverage requirements of the Affordable Care Act [ACA],” the agency stated in a notice to tax professionals. Any tax returns that fail to address those requirements “may be suspended pending the receipt of additional information and any refunds may be delayed,” it added. The requirements, of course, are that every American either have some type of private or public health insurance or, absent a hardship exemption, pay a penalty. For 2017, the penalty is the higher of 2.5 percent of adjusted gross income or $695 per adult and $347.50 per child in the household and topping out at $2085 or whichever is greater for a family. Indicating one’s health-insurance status on one’s tax return has been mandated since 2014, but the Obama administration, in typical fashion, unilaterally decided not to enforce that provision, instead instructing the IRS to follow up with a letter reminding a remiss taxpayer of his obligation. The agency only recently began sending letters to taxpayers for 2014 and 2015. President Barack Obama reversed the policy for the 2017 filing season, which conveniently coincided with his departure from office. However, his successor’s executive order directing federal agencies to reduce ObamaCare’s burdens on Americans caused the IRS to continue the policy of processing so-called silent returns for another year. The 2018 filing season will be the first time the IRS will not accept tax returns that omit this information. 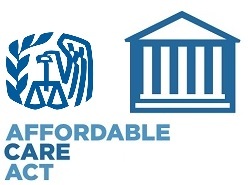 After a review of our process and discussions with the National Taxpayer Advocate, the IRS has determined identifying omissions and requiring taxpayers to provide health coverage information at the point of filing makes it easier for the taxpayer to successfully file a tax return and minimizes related refund delays. Bad News is that the IRS is demanding that taxpayers indicate their health-insurance status and, if they are uninsured, pay a hefty penalty. Good News is that the only way the IRS can collect the penalty is by subtracting it from the taxpayer’s refund. In addition, there’s very little the agency can do to taxpayers who refuse to state whether or not they are complying with the mandate. From what we have researched the IRS has not given any real plan of action for enforcement. The IRS says taxpayers who do not disclose their health-insurance status will not face jail time, leans or levies. This doesn’t mean the IRS won’t hold or delay your tax refund or even mail you a big threatening letter. But it does mean there’s not much harm the agency can visit on taxpayers who aren’t owed refunds, regardless of their insurance status or their unwillingness to disclose it. Health coverage exemptions are available for a variety of reasons: certain life events, health coverage or financial status, group membership, and more. If you qualify, you don’t have to pay the penalty for the months you were uncovered and the exemption applies. You can read more about the IRS Statement on Health Care Reporting Requirement here!